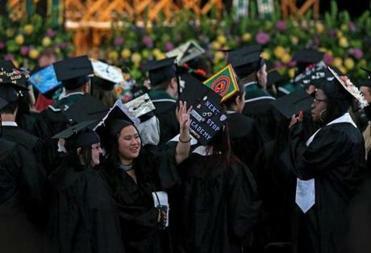 Students filed into Blue Hills Bank Pavilion on Saturday for Mount Ida’s final commencement ceremony. BARRY BROWN SHOULD be there on Wednesday to explain himself. But Brown, the Mount Ida College president who made the hot mess of a deal to close the school and turn the 74-acre campus over to the University of Massachusetts, is so far refusing to show up at a legislative hearing scheduled for May 16. The hearing, before the Senate Committee on Post Audit and Oversight, provides the first opportunity for a full-scale public discussion of the controversial shutdown of Mount Ida and its acquisition by the University of Massachusetts Amherst. Those scheduled to testify include UMass President Marty Meehan, UMass Amherst chancellor Kumble Subbaswamy, and Department of Higher Education Commissioner Carlos Santiago. Mount Ida CFO Jason Potts and Carmin Reiss, chairman of the Mount Ida board of trustees, will be there too. But Senator Kathleen O’Connor Ives of Newburyport, who cochairs the Senate committee, said that Brown has “outright refused to attend,” citing doctor appointments. During an emotional hearing before the Massachusetts Board of Higher Education, many Mount Ida students and their parents said they felt betrayed by the plan for UMass Amherst to shut down their school and assume its $70 million debt. Although the deal called for automatic admission to UMass Dartmouth, some students said they couldn’t find degree programs that matched those at Mount Ida. Also, some were unable to duplicate financial aid packages that Mount Ida promised them. 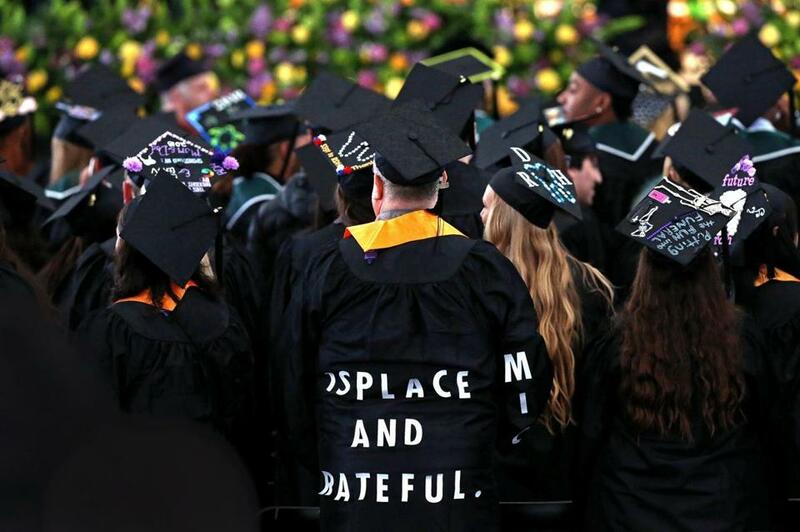 Anger ran so high that Mount Ida’s graduating seniors asked Brown and the board of trustees to stay away from the college’s final commencement ceremony, which was held on Saturday. The proposed deal also greatly angered students and faculty at the University of Massachusetts Boston. For one thing, it illustrates the great financial disparity between UMass Boston, which is saddled with debt, and the flagship Amherst campus, which is prosperous enough to assume the debt of another institution. There’s also concern over the long-range mission of UMass Amherst at this greater Boston location. There’s so much outrage, the faculty union at UMass Boston just issued a declaration of no confidence in Meehan and the UMass board of trustees. After learning in April that the school would close, the senior class took control and planned the graduation ceremony themselves.